Posted in: Radio Control, Team Associated, Traxxas. Here are a couple of videos of my wife and myself out on the backyard track, doing some Preseason Testing. In the first video she is driving her Team Associated RC8.2e FT and the second video she is piloting her Team Associated b4.2 RTR. I am driving my camera car, a Traxxas Slash 4×4. The track is in ok shape and will be undergoing some heavy maintenance and upgrades in the coming weeks. Half of the track was dry, giving us all kinds of grip. The other half was really wet and muddy, providing us with no grip. We had a blast and can’t wait to get the season underway. Posted in: Radio Control, Team Associated. Tagged: New Releases, Racing, RC, Upgrades. 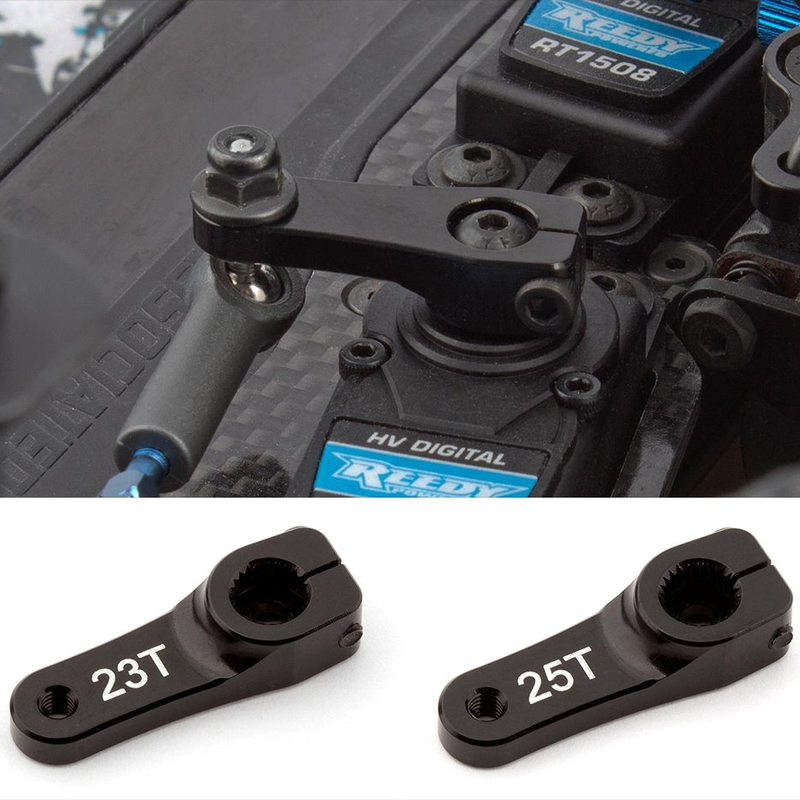 Team Associated have announced new Factory Team Aluminum Servo Horns for their 1/8 line up. The machined aluminum servo horns offer a strength advantage and a different feel. The stock servo horns are plastic and can give you a rough ride over time. These new ones are machined aluminum and slightly shorter length, they provide a smoother feel while decreasing the load on the servo. They are designed for the steering servo in the RC8B3, RC8B3e, RC8T3, and RC8T3e. The new servo horns will be available in April 2016. I have an RC8.2e FT and I am looking forward to getting my hands on one of these. Posted in: Radio Control, Team Associated. Tagged: New Releases, RC. 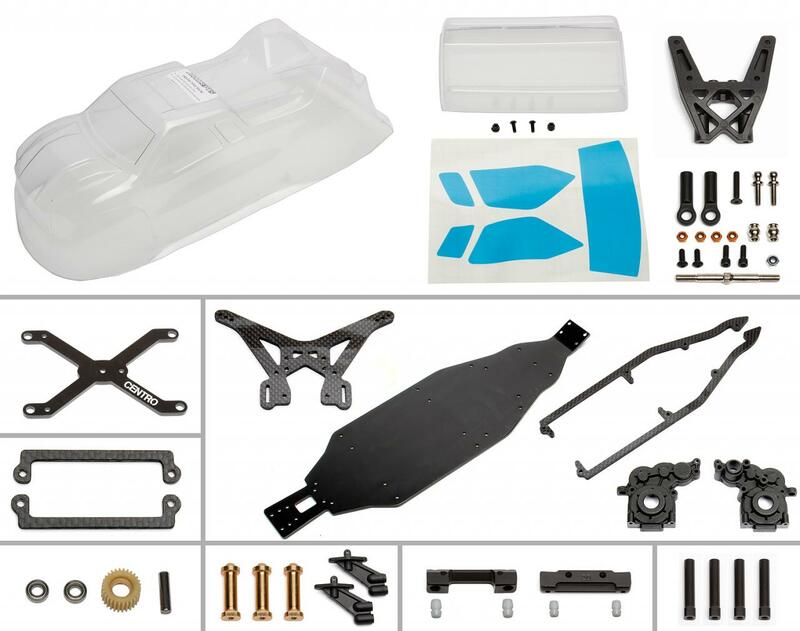 Team Associated announce the release of the ProSC 4×4 Ready-To-Run. 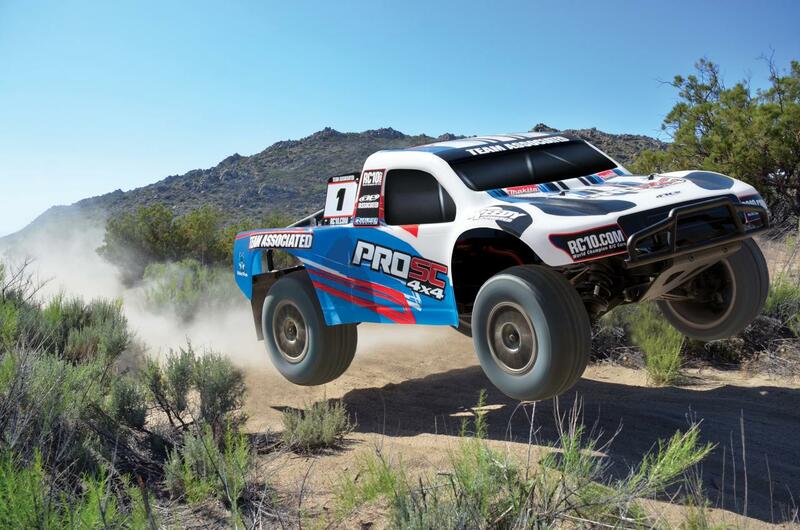 This brushless-powered 4WD off-road short-course truck is the latest addition to their Qualifier Series. Bag D all laid out and ready to go. My Team Associated SC10.2 FT build is moving right along. This bag didn’t provide any challenges, but it did provide a couple of talking points. 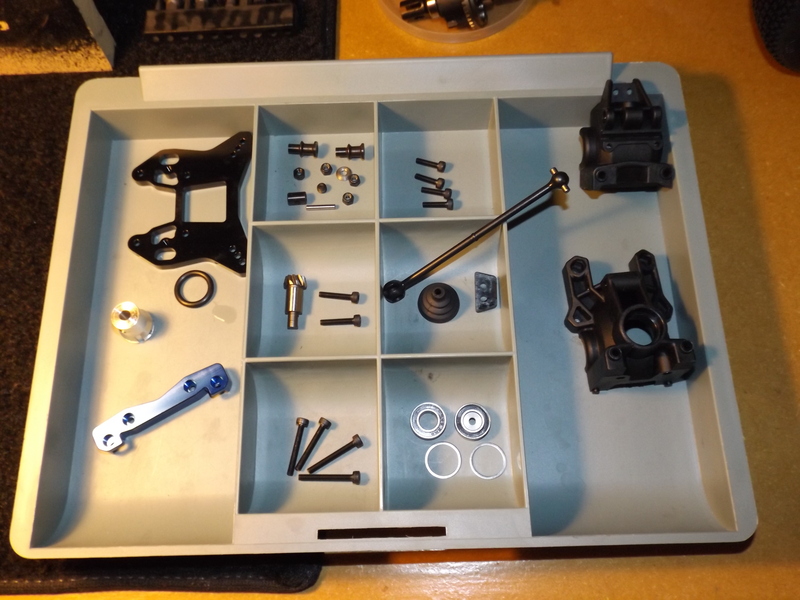 1) Getting the Front Hinge Pin Brace in place on the chassis, took a little muscle to get it to seal properly. 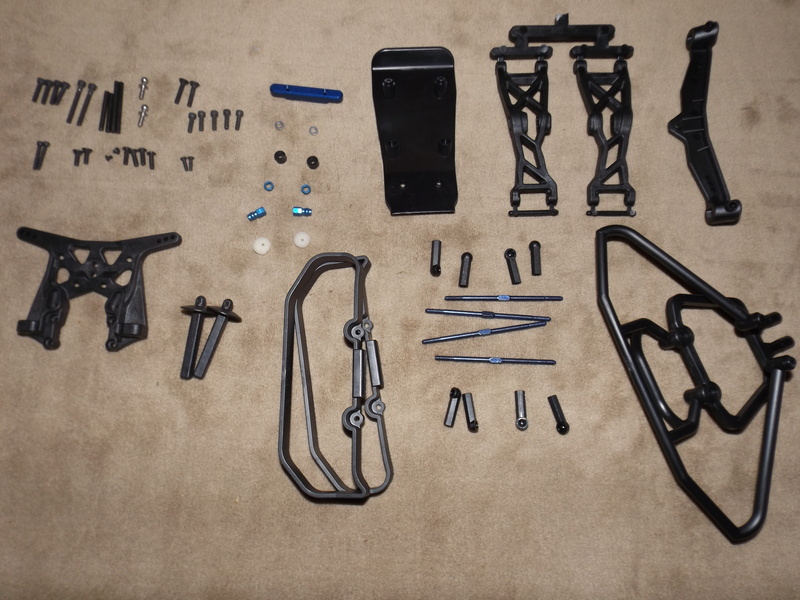 2) The Front Body Post has 4 holes in it, the 4 holes allows you to adjust your body height. 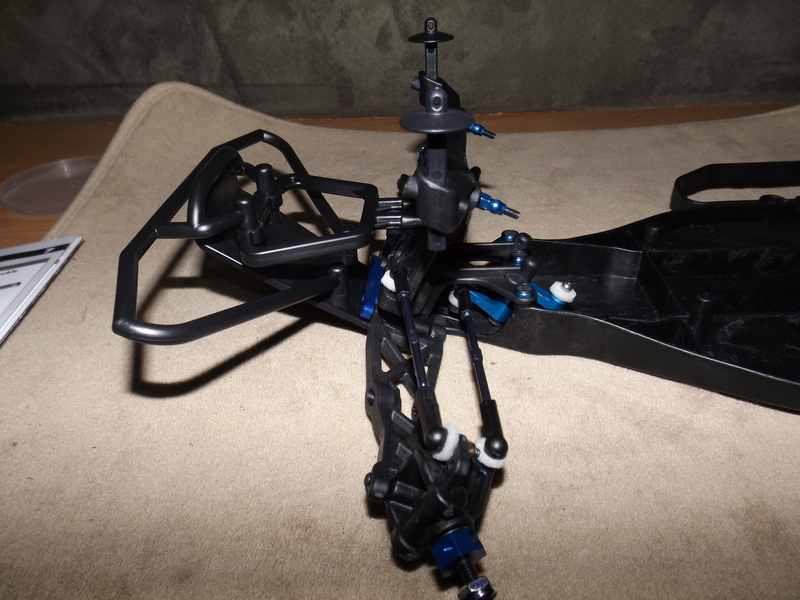 The holes are drilled on an angle, so make sure to get the angle matched to the Body Mount, or the screws will not be able to go thru the Body Mount and Body Post. 3) The Ball Cups are not threaded. If you tap them before you try to install the turnbuckles, it will make this process easier. All of the parts in Bag C, nicely organized.